The profession of a nurse is one of the most difficult in the world, since it requires increased dedication, constant improvement of professional skills, maximum concentration, emotional stability, and a constant sense of personal responsibility for the life and health of their patients. 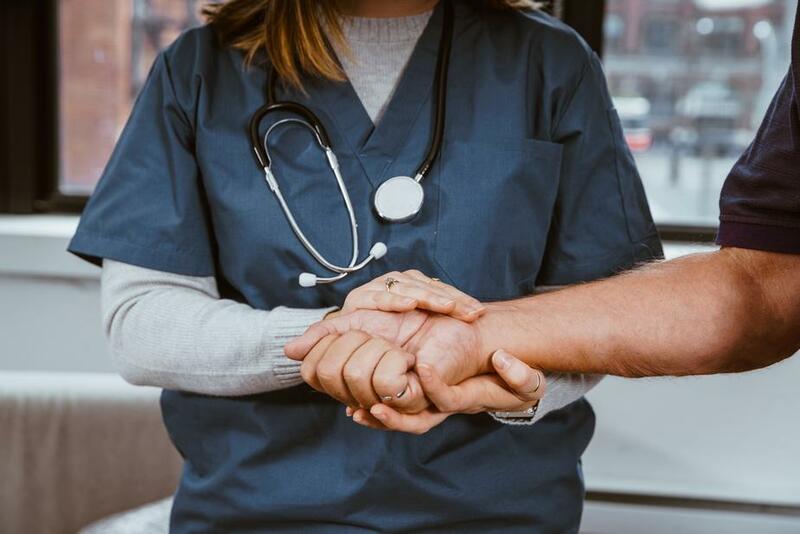 The studies of the American National Institute of Health and the Center for Disease Control and Prevention in 2012 showed that nursing work is considered one of the most stressful professions in the health sector. Almost 20% of nurses who are employed during the year have changed the place of work or the type of activity. This indicates that the healthcare organization allocates insufficient attention and funds for nursing staff. The nurses themselves and researchers argue that this problem is not only a problem of one medical center, but of all medical institutions around the world. The nurse’s work is characterized by a daily, intensive and emotionally intense interaction with patients and doctors. On the one hand they are involved in the inevitable necessity of dealing with the problems of other people, but on the other hand, they feel the pressure of certain social stereotypes of emotional and behavioral response (to be unconditionally competent, restrained, patient, attentive, caring, understanding, sympathetic, etc.). The greatest risk for the emergence of stressful situations is exposed to those nurses who have excessive demands for co-workers and themselves. In the vision of such nurses, the “right” employee must be perfect, invulnerable, and able to tolerate any unfavorable situations. For them, work is a mission, and a life purpose. Pedantic workers. A distinctive feature of these employees is excessive conscientiousness, as well as pedantic accuracy and strong desire to achieve exemplary order with all means, often to the detriment of their own nervous system. Demonstrative workers. Their goal is to become leaders in everything. They put every effort to make people see and appreciate their devotion to work. Such nurses are very quickly depleted at work, even doing simple routine activities. Emotional employees. Such nurses are very sensitive and impressionable. They tend to show excessive responsiveness and perceive one’s stress and consequences of unpleasant situations like their own. Often such sensuality leads the nurse to self-destruction. Syndrome of emotional burnout is usually caused by the specificity of nurse’s working conditions. Heavy workload, numerous situations that require quick decision making, 12-hour shifts – all this requires high functional activity. As the result of such situation, the body and mind are exhausted, so nurses suffer from stress, nervous disorders, and other problems. irregularity of the working day, often with overtime. Causes related to conditions of nursing work: constant emotional contact with many people who need help; constant contact with death (real, potential, phantom); financial constraints; monotonous work; lack of incentives for quality work; unrealized professional knowledge and skills; overloading; shift work. Causes arising for personal reasons: fear of management; lack of psychological knowledge and knowledge of self-management; mistake in choosing a profession; burning out at work; a sense of high responsibility for the results of work; cognitive dissonance. Causes provoked by the healthcare administration: certification; control over work from the outside; conflicts with the administration; criticism from the administration. Causes related to communication with patients, their relatives, students. Causes related to communicating with colleagues: loneliness due to closed or rejected position in the team; psychological incompatibility; unaccountable dislike; the existence of groupings; criticism from colleagues. Mental: angry expressions; bad mood, fear, anxiety, shame; anger at patients, agents, colleagues, administration; cognitive rigidity; frustration. Moral: anger manifested in behavior and actions; disgust, demonstrated in behavior and relationships; a sense of social dislocation; loss of interest to work. Stressful conditions bordering on pathology: obsessive ideas of dealing with the perpetrators of stress; obsessive thoughts about suicide; malaise; insomnia; fatigue, paralyzing ability to resist circumstances; rage with loss of self-control. Does stress affect productivity? The scientific literature describes the symptoms of occupational stress, and some of them disrupt the productivity of labor: memory impairment, increased distraction, violation of concentration. In addition, stress promotes disadaptive behavior, the emergence of dependence on various chemicals, the development of somatic diseases (especially cardiovascular), and an increase in the incidence of suicides. Several researches have shown that in nurses, stress at work is the main cause of exhaustion. It is not possible to reduce or eliminate stress in the context of the nursing work, but employees can learn how to react to it correctly. The impact of stress on the body and the psyche of a person depends entirely on the person’s response to stress. Therefore, nurses need to learn how to manage their reactions to stress. There are many methods of dealing with stress, which are sufficiently effective and do not take time. For example, they can be applied during a break for tea or for lunch. It is important that each nurse chooses the method that is most effective for him or her, and then regularly use it. During the stay, a nurse can conduct short 10-minute sessions of anti-stress therapy, such as massage, relaxation techniques, and Gestalt therapy. In addition, stress is very effectively cured by humor, but do not forget that your jokes should not be heard by patients and visitors. Change of scenery: communication with pleasant people; communication with pets; contacts with plants; immersion in an environment that can neutralize stressful experiences, such as art, theater, music, nature; stay in emotionally influencing environments, such as prison, orphanage, nursing home, church, competitions; journey; talk about stress with others; walking alone, with colleagues, with strangers; change of department, medical institution, profession; changing of the living place. Anti-stress agents: universal anti-stress drug movement, breathing exercises; gymnastics; talking to parents; prayer; yoga; sexual relations; calming procedures, such as shower, pool, bath, massage; a hobby. The means of displacement: to cry; physical activity, household chores; reading comics, religious literature; employment for part-time jobs. Self-correction of the person: inner dialogues with oneself and people in a similar state; self-education; getting another education. – Use of medicines and seek professional help. In conclusion, it should be said that the stress in the work of a nurse can be quite effectively prevented with the above recommendations. Unfortunately, not everything depends on the employees. The administration should also offer its assistance in reducing the emotional burden, providing jobs with high-tech equipment, and adequately paying for the work of health workers. Billingsley, Suzanne K., et al. “Healthy Student, Healthy Nurse.” Nurse Educator, vol. 32, no. 2, 2007, pp. 49–51. Fisher, Jane. “Nurse Burnout: Overcoming Stress in Nursing.” Emergency Nurse, vol. 24, no. 1, Aug. 2016, pp. 12–12. Harris, Philip E. “The nurse stress index.”Work & Stress, vol. 3, no. 4, 1989, pp. 335–346. Kenty, Janet R. “Stress Management Strategies for Women Doctoral Students.” Nurse Educator, 2000, pp. 251–254. The nursing school essay sample that you can read above was written by an author from GPALabs. This essay covers the topic about stress among nurses and how to prevent it in the workplace. Please don’t copy this text to avoid plagiarism. We know that students usually have a lack of time for their homework essays, so use this sample as a source of information or an idea for the essay topic. You can read more healthcare and nursing essay examples on our blog. If you want to order a paper similar to this, our specialist will gladly help you with any kind of academic paper. Just fill in the order form on our page, and include your requirements and contact information. Before the deadline you will receive a complete work according to your specifications. We are available 24/7.